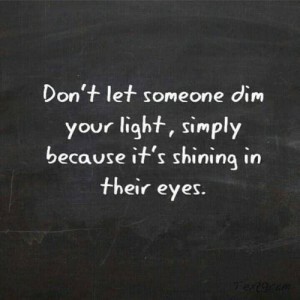 Shine brightly, my friends! Don’t worry if you blind someone with your brightness, keep on shining! Don’t ever dull your shine just because it’s shinning too brightly in someone else’s eyes. You deserve to shine to your fullest potential. When you are shining on those who are too blinded by your light, then you need to find new friends, colleagues, and acquaintances. Always rise up to someone in the upper echelons, don’t stoop to someone’s level just to appease them. Constantly challenge yourself. Join organizations that develop your talents. Do whatever it takes to be better today than you were yesterday! 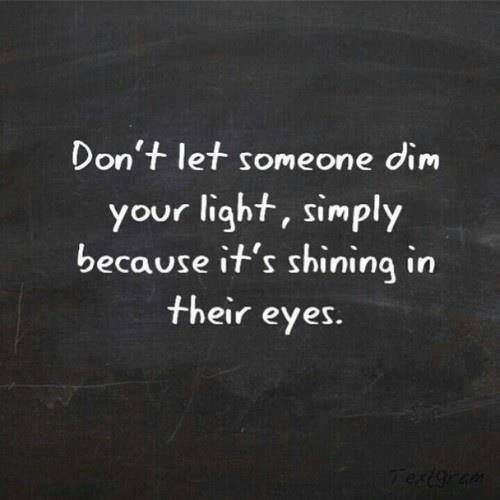 But whatever you do, do not dim your light just because it is too bright for others.